The fish-stressing "dead zone" in the Chesapeake Bay is bigger than predicted this summer, scientists say. Just about a month ago, University of Michigan scientists had forecast that the amount of oxygen-starved water in the Chesapeake should be much lower than average for the troubled estuary. University of Maryland scientists had followed with similar predictions that the bay’s ”dead zone” — where dissolved oxygen levels in the water are too low for fish to breathe comfortably, if at all — was likely to be one of the smallest ever measured. 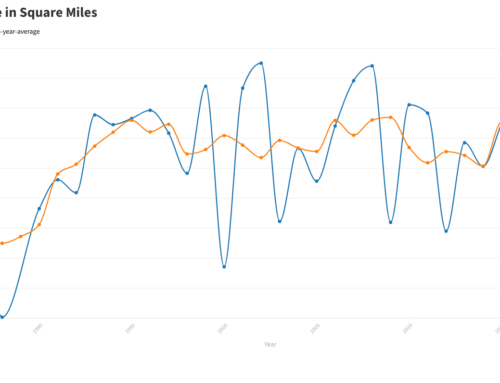 The scientists had based their predictions on below-normal flows in late spring of the Susquehanna River, which supplies half of the fresh water entering the bay. 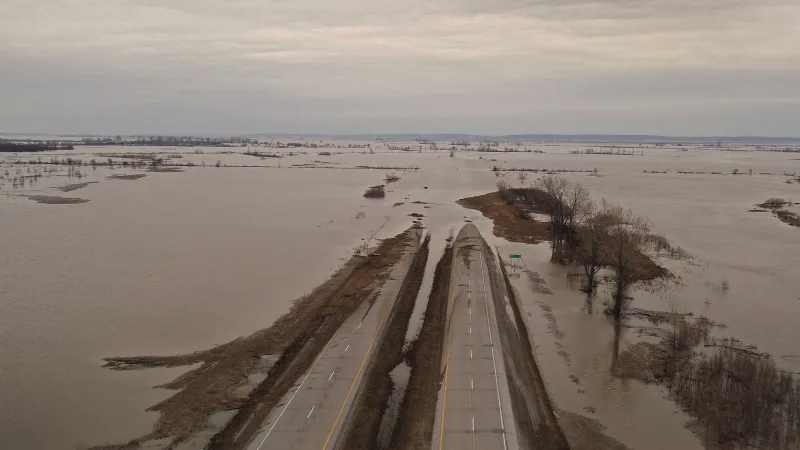 Though it rained a lot in Maryland and Virginia in May and June, it had been relatively dry in the Susquehanna’s drainage basin in New York and Pennsylvania. 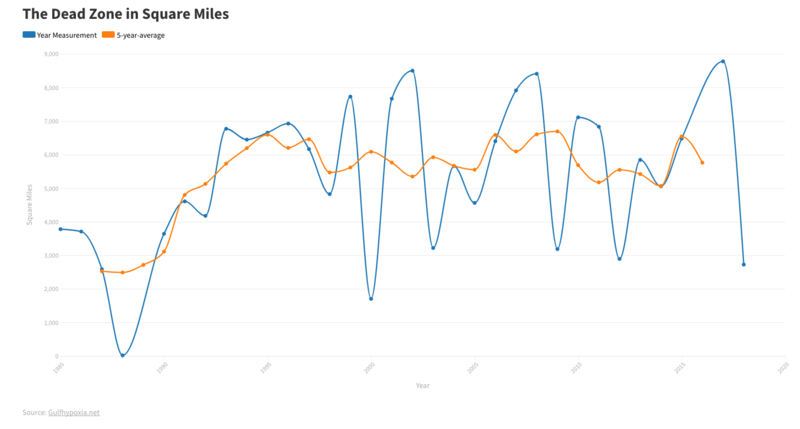 But based on water sampling conducted every two weeks since May, University of Maryland scientists hve found that the volume of water with little or no oxygen in it has exceeded the forecast — increasing from below-average in late May to above normal for June and remaining about average for this month, even as rains locally subsided. Bill Dennison, vice president of the University of Maryland Center for Environmental Science, said it appears that the wet spring in Maryland and Virginia washed more water-fouling nutrients into the bay from farms, lawns and streets, essentially making up for the decreased runoff from Pennsylvania and New York. "We’re not going to have a terrible year — but not the great year we would have expected," Dennison said. 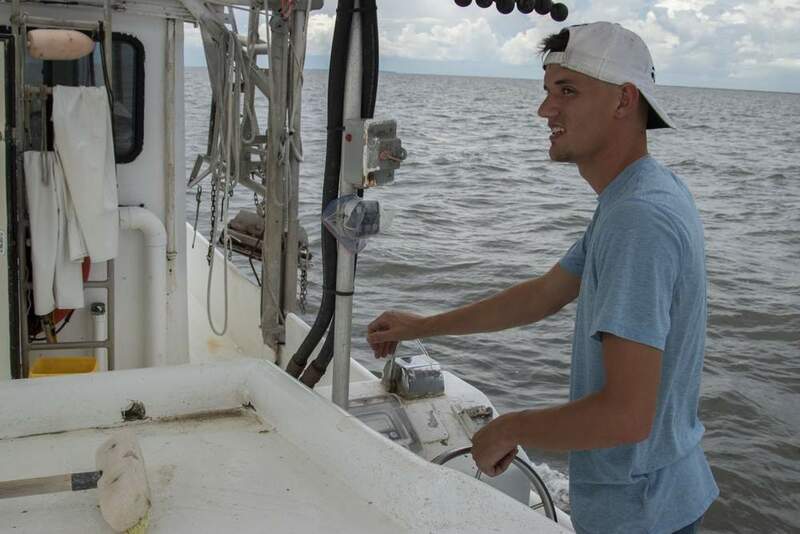 He said he and other researchers were "humbled" by the sampling results, since in prior years the amount of nutrients washed into the bay from the Susquehanna had dictated water quality conditions for the summer. Below is Dennison’s graph showing the volume of "hypoxic" water, where oxygen levels are low enough to stress fish and shellfish. 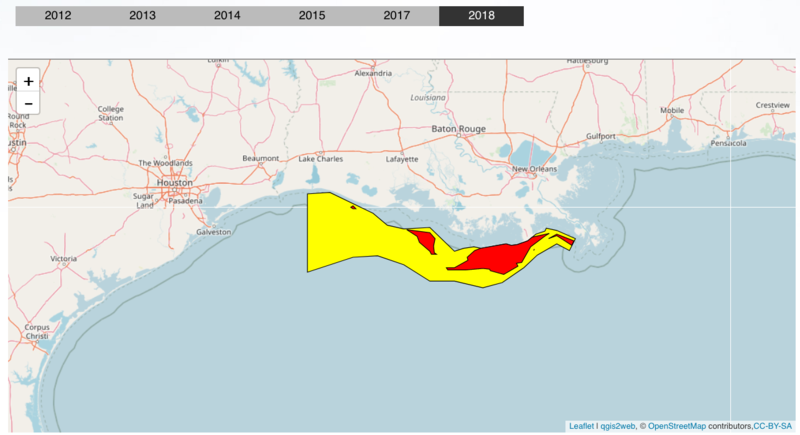 News that the bay’s dead zone is larger than predicted comes amid reports that the nation’s largest dead zone, in the Gulf of Mexico, has proven to be smaller but more severe than forecast. 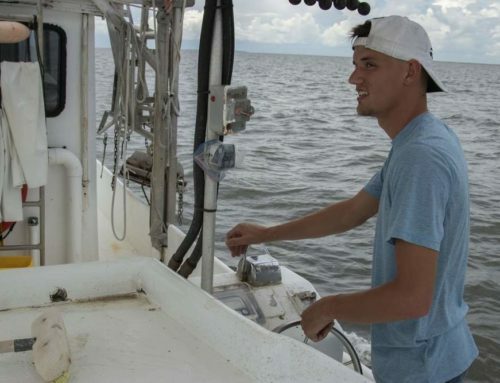 Scientists who sampled water in the Gulf recently found the area where oxygen levels were low enough to stress or even suffocate fish and shrimp extended across about 3,000 square miles – huge, but much less than predicted, or than has typically been seen. 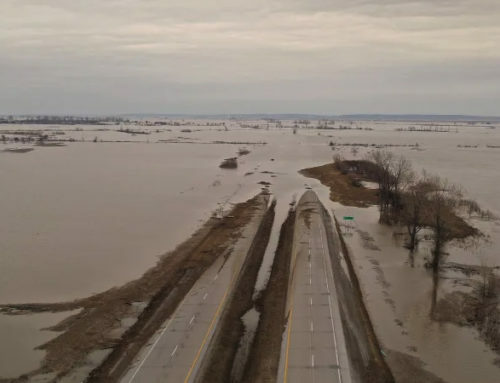 Don Scavia of University of Michigan and others had predicted the dead zone would stretch to 7,450 or 8,450 square miles this year, well above the 6,000 square mile average of recent years. 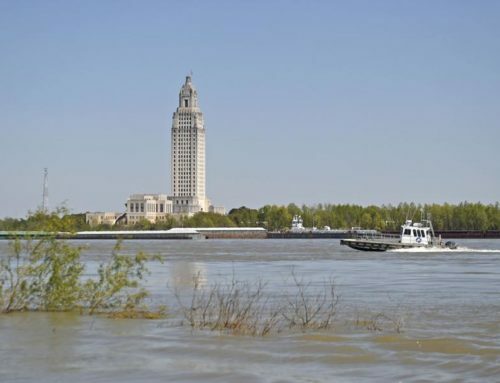 Nancy Rabalais, of the Louisiana Universities Marine Consortium, who has been measuring the Gulf’s dead zone for 25 years, said reduced flows from the Mississippi and Atchafalaya rivers and strong winds apparently combined to compress the dead zone. But Rabalais said oxygen deprivation was severe in places where it did occur, extending up from the depths to near the surface. For more on the Gulf’s dead zone, go here. 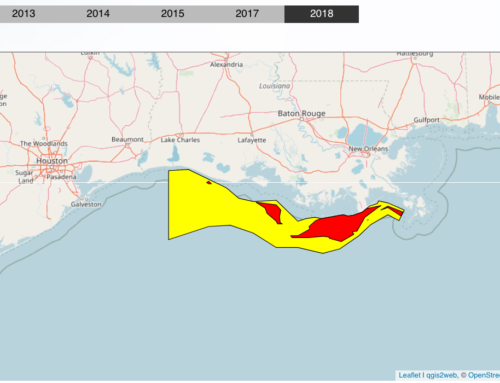 Federal environmental officials said today that they were working with states and other federal agencies to tackle the dead zones that plague the Gulf, the bay and roughly 200 other spots along the nation’s coasts. "It’s possible to restore oceans to a healthy condition," said Jane Lubchenko, a marine ecologist appointed by President Obama to head the National Oceanic and Atmospheric Administration. "But doing so requires reducing pollution from land and being good stewards of the ocean."